The Bermuda Youth Library will be having It’s Superheroes & Tutus II Storybook Parade on Saturday [June 23] from 10.00am to 12.00pm. 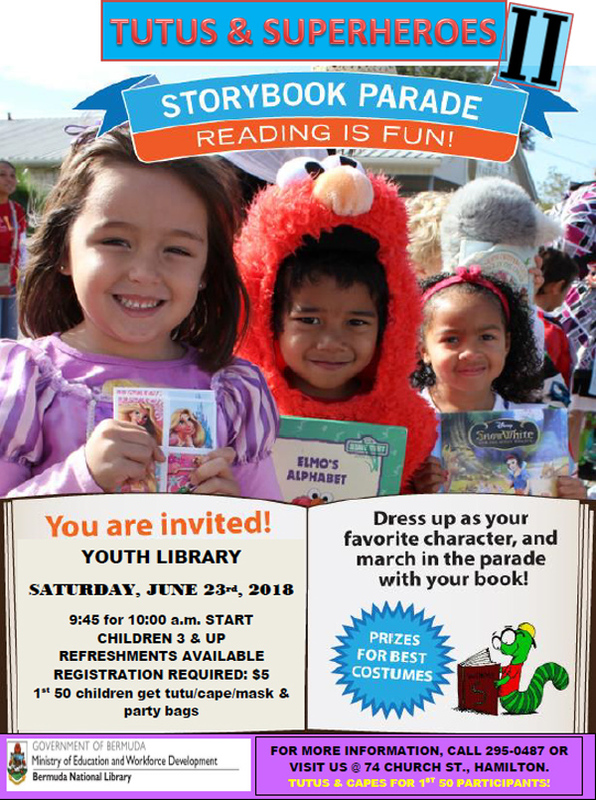 A spokesperson said, “The Youth Library will be having it’s Superheroes & Tutus II Storybook Parade on Saturday, June 23 from 10 am – 12 noon. Children are invited to come dressed as their favorite storybook character and bring the book that it come from. “We will be celebrating literacy. There will be costumes and goodie bags for the first 50 registrants. The Gombeys will welcome us back to the Library and refreshment will be available.